If you're looking for a versatile houseplant that has many uses and is easy to grow, the ivy plant (Hedera spp.) could be a perfect choice. A naturally trailing plant, it thrives in hanging baskets or pots but also works well inter-planted with other houseplants or trained onto a trellis. 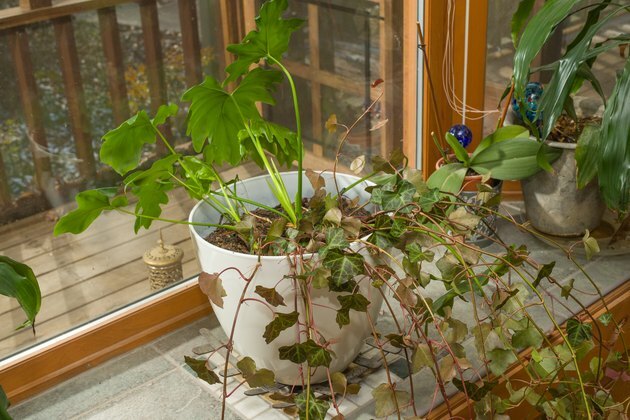 Ivy houseplants only need ordinary, basic care and the right conditions to thrive indoors. Many different types of ivy exist, but most grow best in bright indoor light, where they don't receive any direct sun but still get good light exposure. A spot that's 1 or 2 feet away from a lightly curtained, south- or west-facing window is ideal, or you can grow the plant under artificial lighting, such as full-spectrum fluorescent lights or grow lights. An ivy plant can also survive in a poorly lit spot such as the corner of a room, but its growth rate will likely slow. 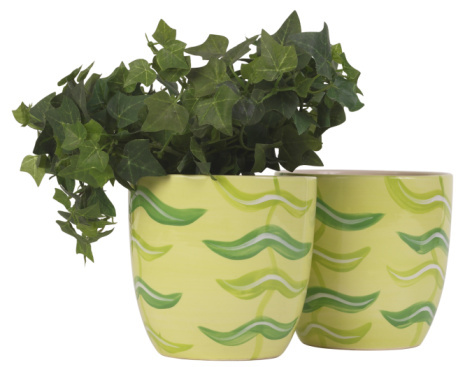 Ivy plants such as the English ivy (Hedera helix) grow outdoors all year in U.S. Department of Agriculture plant hardiness zones 5 through 9, so you can move a houseplant outdoors during the warm months but don't keep it in direct sun, which can scorch leaves. 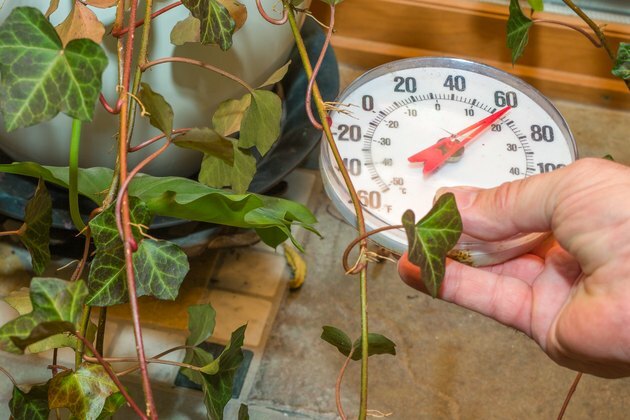 Giving an indoor-grown ivy the correct amount of water at the right time helps keep it healthy and growing steadily. Let the plant's soil dry out between waterings, then water so the entire soil ball becomes wet and water drains freely from the pot. 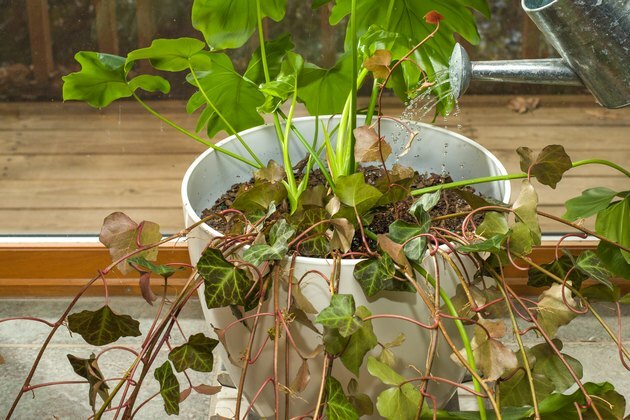 How often you'll need to water the plant can vary; for example, an older, pot-bound plant whose root system almost fills its pot dries out more quickly than a young plant with a small root system, and an ivy in a glazed ceramic or plastic pot dries out more slowly than a plant in a clay pot. Look for signs that a plant needs water. Lift the pot, checking its weight, because a dry pot weighs less than one with moist soil, and test the top 1/2 inch of soil regularly with your finger, watering when it feels dry. An indoor ivy plant does best when room temperature is cool, between 50 and 70 degrees Fahrenheit during the day, and a bit lower at night. 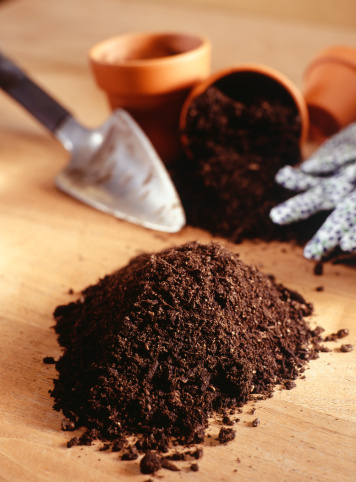 Fertilize the plant once or twice each month during the growing season, spring through early fall. Use a water-soluble, balanced, 15-15-15 formula, diluted at a rate of 1/4 teaspoon per gallon of water, but check the product label for any additional directions. Withhold fertilizer during the winter to give the ivy a rest. To prevent accumulation of fertilizer salts in the soil, leach the plant's soil twice each year by immersing its pot in water that comes to the top of the pot. After 15 minutes, remove the pot from the water and let it drain fully. 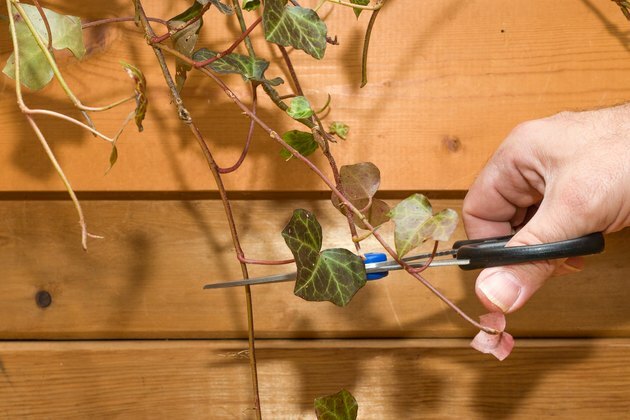 Although it's not necessary to prune indoor ivy, you can trim it back to keep its size under control and maintain a good shape, cutting just in front of a leaf or a dormant bud. Trim the ivy at any time, using sharp shears you disinfect in rubbing alcohol between cuts to prevent spread of disease. 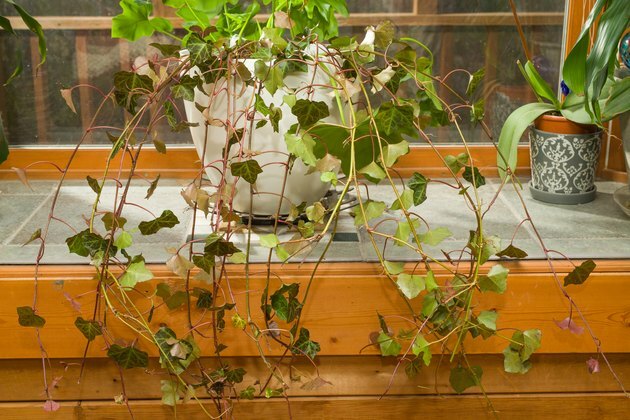 An indoor ivy isn't susceptible to any serious diseases, but it might attract spider mites, mealybugs or aphids, which cause damage by sucking plant juices. Control these pests with insecticidal soap, diluted at a rate of 6 tablespoons per gallon of water. Spray the plant until it's dripping, or turn the entire plant upside down into a bucket of soap solution, covering soil with foil or paper to keep it in the pot; repeat every two weeks as needed. Can I Plant My Split-Leaf Philodendron Outside?